Yetunde Joyce is elated and grateful for her forthcoming album due for release in 2016. Off the album comes the upbeat Afro tune titled “Unchangeable”. Produced and featuring award winning Wole Oni, “Unchangeable" is a declaration of assurance in the never changing character of the Most High. It speaks of the consistent, unvarying, reliable nature of a God that never changes. 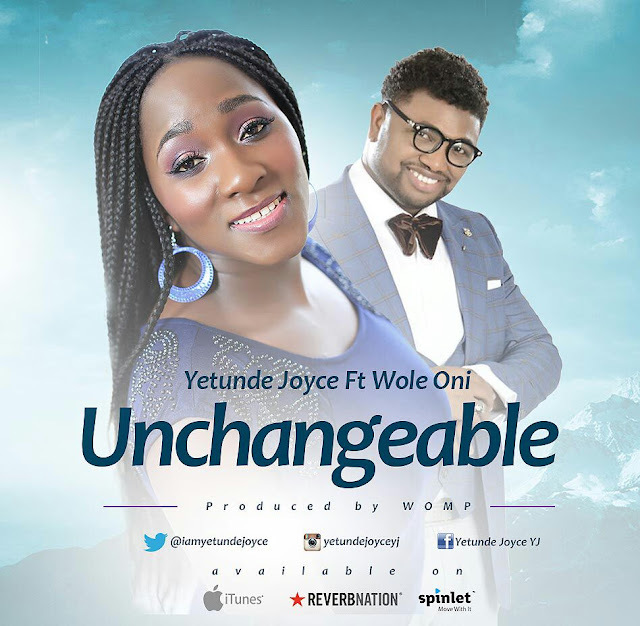 “Unchangeable” comes as part of the tracks that makes up Yetunde Joyce’s forthcoming album, following the release of the 2014 “G.O.D” album which caused uproar in the gospel music industry with hit tracks such as “Find God”, “I Choose To Be Free” and “Lift Him High”. When I think of what the Lord has done, it makes me want to say he is unchangeable. I lift him high, I praise your name, you are unchangeable. Forever you are Lord, forever you are the same. Unchangeable, unchangeable, unchangeable father, you are the Lord (2x). When I think of what the Lord has done, it makes me want to jump and shout for joy. When I think of what the Lord has done, it makes me know that God is unchangeable. I lift him high, I praise your name, and you are unchangeable.